Father of Autistic Child Deported From U.S. The father of a child with severe autism has been deported to his native Bangladesh following a plea for more time to stay in the United States to arrange for his daughter’s care. Immigration and Customs Enforcement (ICE) confirmed to NBC News Wednesday that Mohammed Ambia was removed from the U.S. on Oct. 11. 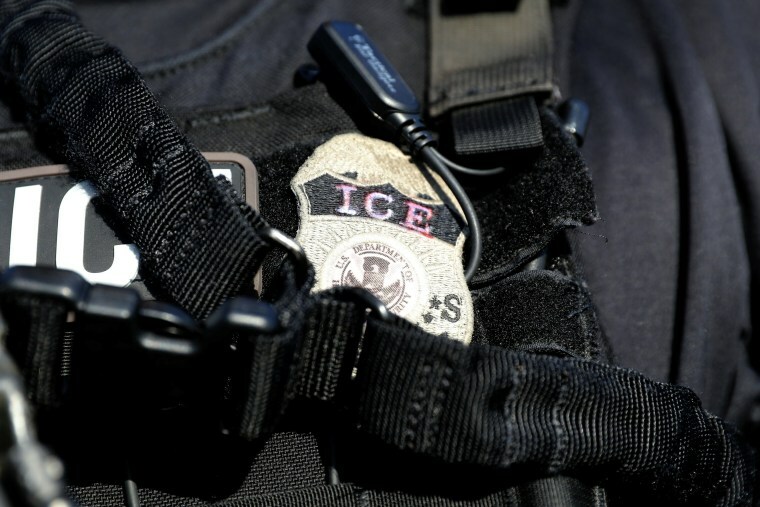 The 57-year-old, of Queens, New York, had requested his deportation be delayed after being taken into custody in September. That detainment came during a regular visit with immigration officials in Lower Manhattan, according to his attorney, Lorenz Wolffers. Ambia, the main caregiver of 15-year-old Faeeza, hoped for more time to make arrangements for her. But the local ICE office in New York denied a request for a stay of removal, Wolffers told NBC News. Ambia’s two other children, both in college, are now left to care for Faeeza, who has severe autism. “Obviously, this is a very, very difficult situation for the family,” Wolffers said. RELATED: Father of Autistic Child Faces Deportation From U.S.
Before his deportation, Ambia had been living in New York on what’s called an “order of supervision.” He was required to attend meetings with immigration officials after being found eligible for removal in 2009, Wolffers has said. Ambia had overstayed a visitor’s visa he used to enter the U.S., where he lived since the early-to-mid ’90s. A judge also sentenced Ambia in 2006 to 12 months probation after being convicted of trying to obtain a fake ID to visit his cancer-stricken father in Bangladesh, according to Wolffers. Faeeza’s mom returned to Bangladesh in 2008 to provide for her own ailing mother. Like her husband, she too had overstayed her visa and was denied one to return to the U.S., according to Wolffer. Ambia’s wife had taken their children to Bangladesh when she left the U.S. in 2008, Wolffers said, but the country had few options for special needs schools. ICE did not explain to NBC News why Ambia’s stay of removal was denied. Wolffers said they had asked for the deportation to be delayed for one year since Ambia’s older daughter, Fariha, will have graduated from college next spring and will be able to take care of Faeeza. But ICE dismissed the argument, according to Wolffers, saying it wasn’t a practical solution because 24-year-old Fariha is in the U.S. on a student visa. Wolffers noted that she could likely stay and work in the country legally for up to three years after graduating. He said he asked the local ICE office to reconsider, but to no avail. Wolffers is also pursuing humanitarian parole for Ambia with ICE headquarters in Washington, D.C. As of Wednesday around noontime, Wolffers said he hadn’t gotten an acknowledgment that ICE received Ambia’s petition. Nor had a check for the filing fee been cashed, he added. ICE did not respond to a request for comment on the status of that filing. Wolffers said he’s been in touch with Ambia in Bangladesh, but declined to comment beyond that. Asked about their next moves, he said it depends on how the family wants to proceed. “We will have to consider our options, but they are limited,” Wolffers said.